smoke used to be found in swinging jazz clubs, as Kansas City led the evolution of bebop in the 1930s, and there is still a thriving live music scene today. Check out the Power and Light District for the best nightlife. The real aficionado can also check out the American Jazz Museum for a little extra history. Another great museum is the Nelson Atkins Museum of Art. “KC” takes a little investigation to discover, but plenty of hidden gems reveal themselves to the patient tourist. With as many boulevards as Paris and as many fountains as Rome, this city in the “flyover states” deserves a stopover. First off, there is a Kansas City in both Kansas and Missouri. This is for the MO side. A big city with the usual good and bad. It is known for its' Kansas City BBQ & Jazz! The Country Club Plaza is beautiful in winter with all the lights! There is also the most photographed fountain! You should go see the Library, too... it is so cool! If you want an old time feel, go to Westport. This is a wonderful city! To begin with I wish to work with an ambiguous phrase "this will depend". I'm not going to come right out and state that Wealthy Affiliate suits everyone. Great city, love the free public transportation in the power and light district! Beautiful fountain, along with the surrounding architecture of the Kansas City Plaza. Readers ranked Kansas City in the top five for both burgers and barbecue. But it’s also won numerous fans for the Italian-style coffeehouse Parisi Artisan Coffee, where you can get coffee treats like con panna, espresso topped with house-made whipped cream, or affogato, a vanilla gelato drowned in espresso. Thou Mayest Coffee Roasters—which takes its name from Steinbeck’s East of Eden—serves artisanal cups of coffee on a deck with great views of the concerts in the Crossroads Arts District. Kansas City also ranked highly for its barbecue, for those who prefer meat over beans. Only within the realm of barbecue can a gas-station location boost your appeal. At least that’s the case with Oklahoma Joe’s, a relative newcomer (as in, the 1990s) to the KC barbecue scene, whose first location was inside a Diamond Shamrock. This meatpacking city–which also ranked at the top of the survey for its great burgers—is known for delectable burnt ends that come off brisket and taste great with a tomatoes-meet-molasses sauce. Two legendary places to try it are Arthur Bryant’s and Gates Bar-B-Q, which date back to the 1920s and ’40s, respectively. Readers also applauded Kansas City for its welcoming locals, solid museums, and, come December, its twinkling Christmas spirit. The train made a stop in Kansas City while I was traveling on Amtrak's Southwest Chief Train Number 4 from Los Angeles to Chicago. 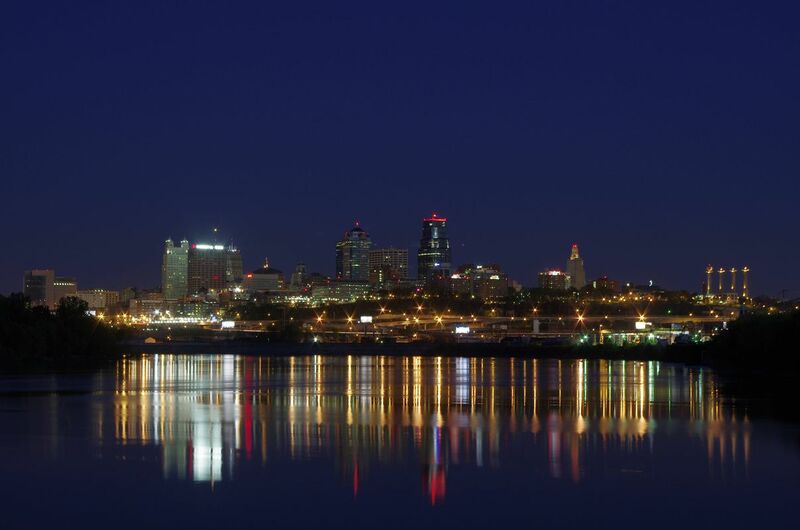 Kansas City is a twin city that sits on a state-line of both Kansas and Missouri. It has some major museum, culture center, and urban and suburban parks and trails. It supports a baseball and football teams. You will need at least one week to visit the highlights of what the city offers. Kansas City is one of the most underrated cities in America. The food, including iconic barbecue, is great, and the music scene could rival many others. It's a great city that connects the Mid-West with the plains, and has such charm and uniqueness. It's worth it to go. KC, on the Missouri side is nice near the convention area of town and there are a few nice restaurants downtown. Take a cab to the Casino, see a Royals or Chiefs game and definitely get some BBQ.